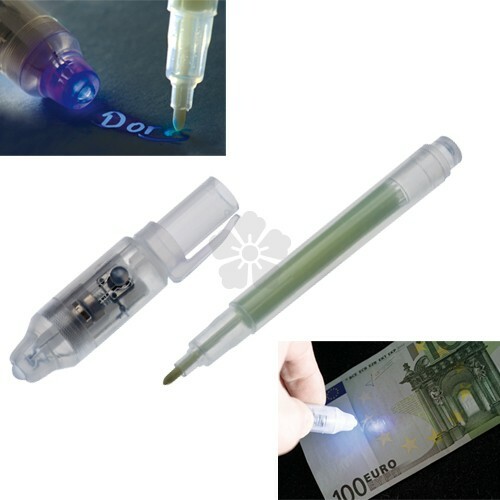 The pen writes with an invisible ink that can only be seen with the UV torch. Ideal for security use or proofing banknotes. 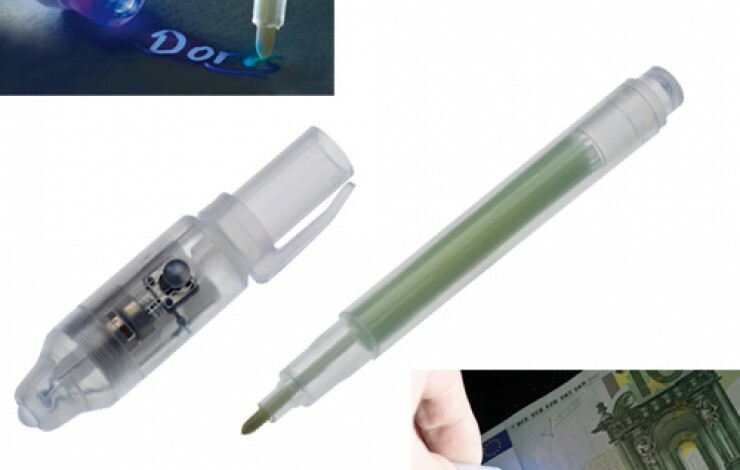 Blue ink refill pen.